Did you know that your skin is considered the largest organ in the human body? So you'd want to take good care of it. Luckily, the team at SKYN in Nedlands are there to do just that. For the last month, I have been getting regular Microdermabrasion treatments here, and have been so over the moon with the staff and service that I had to give them kudo's. So let me tell you a little about what they offer at SKYN. To start, let's talk about their leading edge non surgical cosmetic procedures for the face. Now personally, I like lines. I think they are like an album of your life, right there on your face. They add character and they tell stories, and I never feel the need to remove them. Lipodissolve / Fat Lipolysis: This is a different type of injection. The type that reduces fatty deposits that are resistant to diet and exercise. Areas suited for this procedure are the ones we all love. The double chin, jowls, upper arm, the inside of the thighs, hip pads (love handles), the back (saddle bags), knees and abdominal area. After 2-4 treatments only, you'll notice some real results in their appearance. Click here to request an appointment. Microdermabrasion: This is the treatment I have been visiting the salon for. And no, it's not just a sandpaper type facial and they send you on your way. It's amazingly relaxing, and exciting knowing that you're on your way to smoother skin. 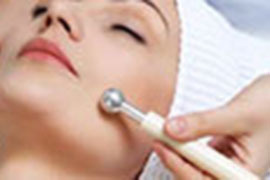 Micro is a skin rejuvination technique that helps repair and smooth the skin. When you first go in to the salon, you'll talk to the consultant about how many treatments you may need. This can be anywhere from 1 to 6, depending on the results you would like. Then, be prepared to relax. After the actual Microdermabrasion, you'll be treated to a mask that will remove any excess dirt, and a neck and arm massage. It's heaven, and the staff are all gorgeous and friendly. At first, you might breakout a little due to all of the dirt coming to the surface. But they're mild and over quickly. After that, you can enjoy the benefits of silky smooth skin. SKYN can also put you on some great products for the face, like Environ and Elixxir. I currently use both from the range, and will never ever buy supermarket products when it comes to my skin ever again. They're amazing. Pricing for this procedure is as follows. Endermologie: Just another of the many procedures offered by SKYN. Endermologie is a way in which you can smooth your skin and temporarily reduce the appearance of cellulite. One session lasts 35 minutes, and they suggest you do about 10-15 if you want great results. It's the best way to see results without actually going in and sucking anything out or cutting anything up. I am sorry there was no better way to put that. Many of us have insecurities about our skin. So give SKYN a call today on 08 9389 9022, or jump on their website and have a read of what they offer.